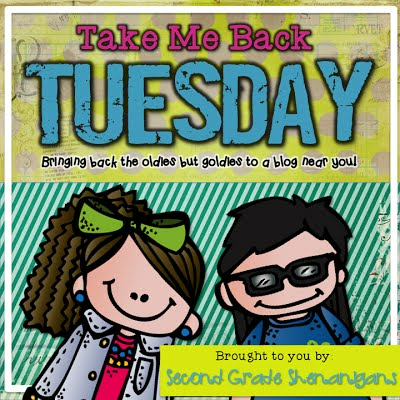 Today I'm linking up with Hope from Second Grade Shenanigans for Take Me Back Tuesday! Now, you may be thinking, "She just started her blog what can she be taking me back too?" Well, it's true that I just started my first blog dedicated entirely to teaching, but about a year ago while I was staying at home with my new baby boy, I started a blog where I post about all kinds of things including teaching, crafting, baking, cooking and reviews and giveaways. 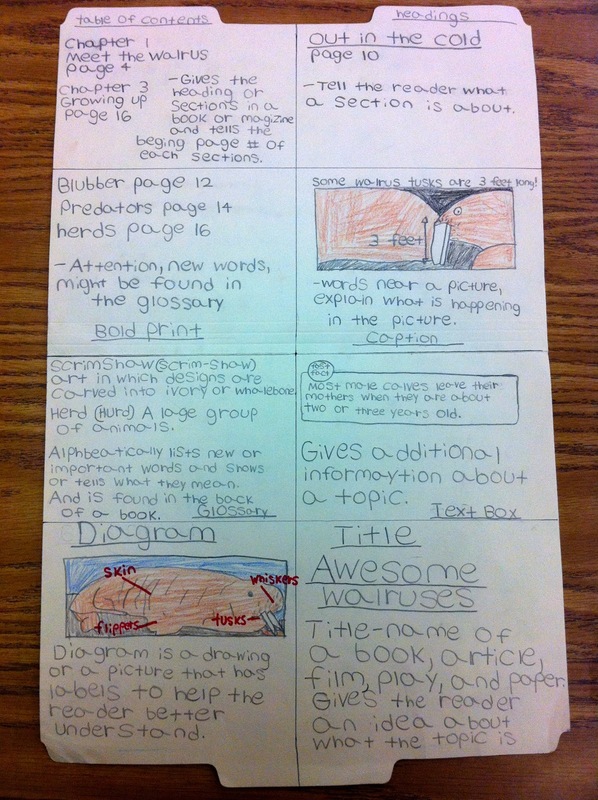 So, this post goes along with my previous post all about non-fiction. 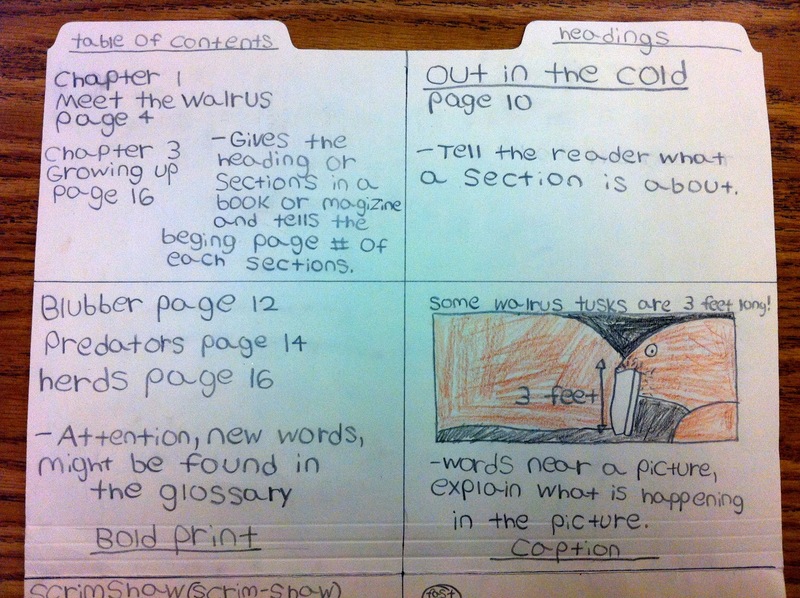 First, I gave everyone a file folder that was divided into 8 sections, a instructions sheet, and a non-fiction book. Everyone got a different book. 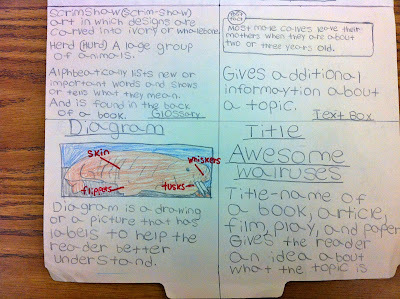 The Scholastic Vocabulary Readers are great for this since they all include several text features. The Vocab Readers are usually level J/K, so for my more advanced readers I did choose more difficult books, although my focus wasn’t on the reading level for this project. 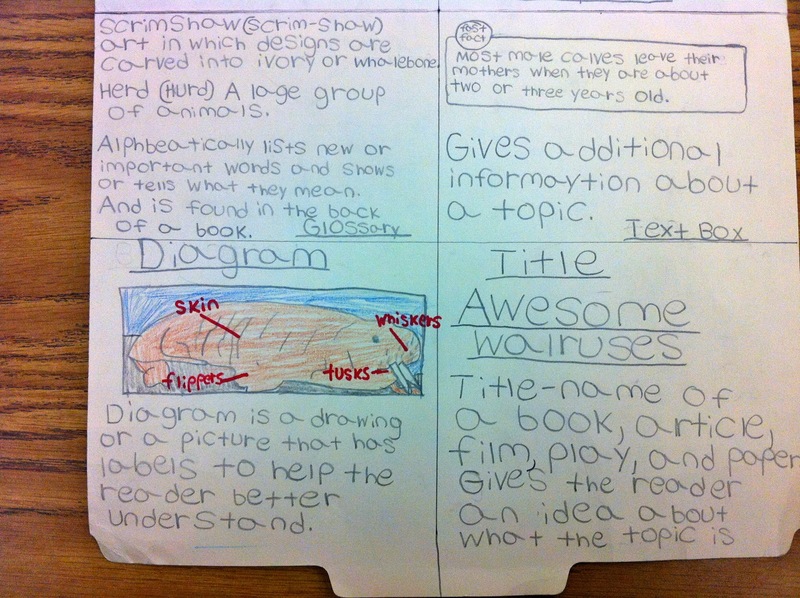 The great thing about this is that you can really differentiate it based on each student (different books, vary the amount of text features, etc.) 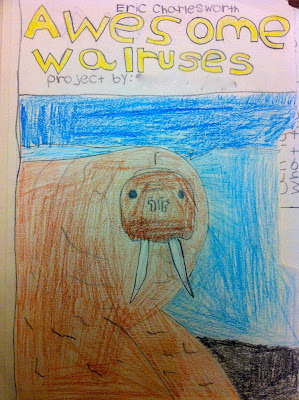 I modeled exactly what I expected from the kids first and then gave them all about a week to complete it at home. Obviously, you could also make this an in school project or even a partners projects. Love this idea for my enrichment group. Thanks for throwing this back out there for us!